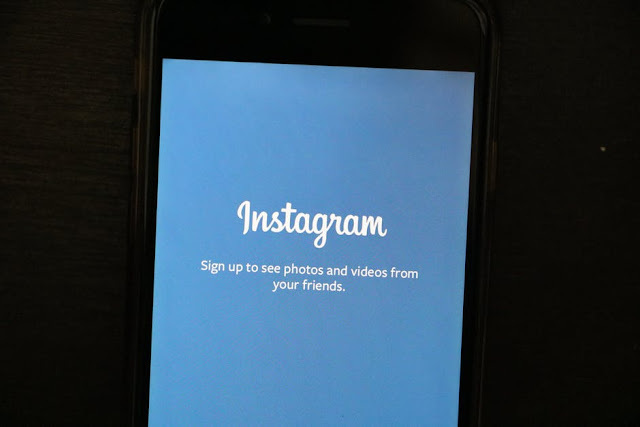 Instagram is now the #2 largest social network in the world with over 1 billion users. It's a great way to connect with your target audience, grow a community, and share high quality visual media. I get questions from fellow marketers and peers in general on growing Instagram accounts and account management every week. Here are some of the recent questions I've been asked. How Can I Delete My Account But Keep My Username? METHOD 1: Here’s what I’d recommend doing: Delete your entire profile manually including image, links, profile text, pictures, videos, and messages. You can even block accounts if you think they might continue messaging you and block accounts following you. Or just allow them to keep following you since your profile will be empty and there’s nothing to follow. That would be best in case you change your mind someday and want to leverage your existing Instagram followers. Anyways, then set your account to private. Now you have any empty account with your username intact and still under your control. - Start a new second account first of all. - Change the username of your original account. - Go back to the second account and change the username to the one that you want to save. - Delete your original first account. Now you have an empty profile you can use any time you’d like with the username intact and in your possession. The same can be done on Twitter. How Do I Find Out When Someone Followed Me On IG? Go back through your notifications to check the number of days or weeks when that person found you. The information may not still be available if you have a massive number of notifications and Instagram doesn’t store more than a certain number of notifications. How Do I Take Control Of An Instagram Account After Winning A Trademark Dispute? It's difficult to enforce on social media. I’ve tried and failed on Twitter because the handle I was seeking (someone else was blatantly ripping me off) wasn’t considered covered under a trademark. Instagram might have a similar policy. I just made my handle 1 letter different and it didn’t matter because I have 100 times their amount of followers and 50 times their tweets. You might have to take the old school legal approach of trying to contact the current owner of the handle and telling them your situation. This worked for me on Instagram actually but it obviously depends on who you are contacting and if you can even make contact. The next step if that doesn’t work is for you or your lawyer to draft a cease and desist type letter threatening legal action if they don’t give you your handle. Depending on how and if they respond to the letter, go from there. Paying for any legal services or getting involved with a headache such as this makes little sense for most businesses so I wouldn’t even bother. If you can’t get your handle quickly then make up a similar one and focus your time, energy, and money on building a better account than the other person. I'm Having Trouble Setting Up An Instagram Account & Can't Get Customer Support. What Do I Do? Try creating an account on mobile, tablet, and desktop. If one of those doesn’t work try different browsers on each of those devices such as Chrome, Opera, Safari, Firefox, and even Internet Explorer. Try the Instagram app on Apple devices and then on Android devices. Try several email accounts in case your primary one is suspended for violating terms and conditions. Make sure your browser caches are clear. I promise you'll have an account set up if you try all of the above options, even if most of them aren't necessary. Are People Notified When You Follow New Accounts? Your Instagram business account followers won’t be notified directly (via email or notification alert) but they can view it under the activity feed of people they follow. They may not end up seeing it though because activity feeds are extremely congested. This is especially the case if you follow multiple people or perform multiple additional actions (post, like, comment) causing your following activity to become lost in the shuffle. Is It Easier To Grow Your Instagram Followers When You Already Have A Large Number? To a certain degree yes it does. This is due to the popularity effect: people see that you have a lot of followers so they’re more likely to think you’re a big deal and follow you as well. It sounds stupid but it’s basic human psychology. You’ll also be under the “Following” list of over hundreds or thousands of accounts and some people follow other people’s followers and following lists. This has been the case for me with multiple accounts and businesses on Instagram, Twitter, Facebook, LinkedIn, and nearly every other social network over the last decade. Does Instagram Offer A Mute Function? 1) Unfollow the person in question. Simple enough but I realize you may just want to mute their posts and not unfollow them completely. 2) Search for other accounts and follow them or like / comment on their posts. Keep doing this an in a matter of days or weeks you won’t come across the account in question nearly as much in your feed due to Instagram’s algorithm. 3) Clear all of your likes and searches in your account which will remove your search preferences and start you back at ground zero. It’s kind of like clearing your browser cache, cookies, and history. Then just don’t engage with that person’s media going forward and you should see their posts very infrequently if at all. The more people you follow and engage with, the less likely you are to see any one specific account too often. Why Would An Instagram Account Tell Me To Direct Message Them To Use Paid Features? Asking you to DM them for "paid features" probably means you are following a sketchy account because no legitimate respectable business resorts to strange tactics like that. It is probably a phishing scheme, outright scam, or illegal (or borderline) service so I’d steer clear. If I stop following someone on IG, can they still see my posts and new activity? Yes the account in question can still see your posts because they are still following you. You’ll need to block them permanently or block them briefly, set your account to private, and then unblock them. Why am I incessantly being emailed by companies that I follow on Instagram? Unless you have a business account (or personal account acting as a business account) that blatantly lists your email address, you must be referring to emails from INSTAGRAM and not from the actual companies themselves. Check to see if the message is from Instagram notifications or the companies themselves. Depending on your settings and user behavior, Instagram (and nearly all other social media platforms for that matter) send post digests on accounts that you follow and/or sponsored content. I will guarantee the emails are actually coming from Instagram and you can change what you receive on your Instagram notifications and email settings. You could also Unsubscribe to emails from Instagram, mark them as spam, or just unfollow those business pages. Should I use Direct Messages To Discuss Business? I wouldn't count on using DM's to have multiple or lengthy business discussions. Sure they can be helpful when reaching out to some users or customers, but not a lot of people check them these days. If you do end up having a serious business-related conversation via DM, then I'd recommend moving it to email correspondence like a professional. How Come I Can't Utilize The Username Of A Disabled Account? Unfortunately on some social media platforms if an account has been suspended, disabled, or removed then that associated username cannot be used again by anyone on the platform. Most times an account is disabled for security purposes, impersonation, or offensive content and I guess their reasoning is that the wouldn’t want a future username potentially inheriting the fallout from those issues. Which Verified Instagram Accounts Have The Least Followers? While I’ve seen countless minimally followed Verified Twitter profiles with as little as 200 followers (many of these being police officers and local government officials or small time journalists), on Instagram the lowest accounts I’ve seen is around 1,000 - 3,000 followers. This is sometimes the case with big corporations (such as consumer package goods) that are still new to the party on Instagram and joined in the past couple years. They don’t usually utilize Instagram on a daily or weekly basis but they are multi-billion dollar corporations and they have the influence and budget to get verified right off the bat anyways. I won’t mention specific accounts due to conflicts of interest. Instagram does have higher standards for verification than Twitter, but some companies and brands do still get a bit of a pass or slip through the cracks. Will My Instagram Followers Be Notified If I Update My Profile? No they will not be notified unless you mention their account username in your bio. This is a new feature but it isn't used that often except for cross-promotion or accounts being moved. I hope you enjoyed this article about Instagram account management and optimization. Interested in more articles about Instagram marketing?